We are delighted to announce that new ULM Double-Shielded Blankets are now patented in Russia. 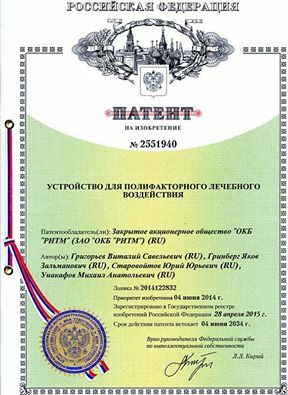 RITM OKB ZAO received the Russian Patent 2551940 for ‘Device for multifactor therapeutic effects’ (by V. S. Grigoriev, Y. Z. Grinberg, Y. Y. Starovoytov, M. A. Unakafov). The new blankets have improved shielding, better reflectance and durability.